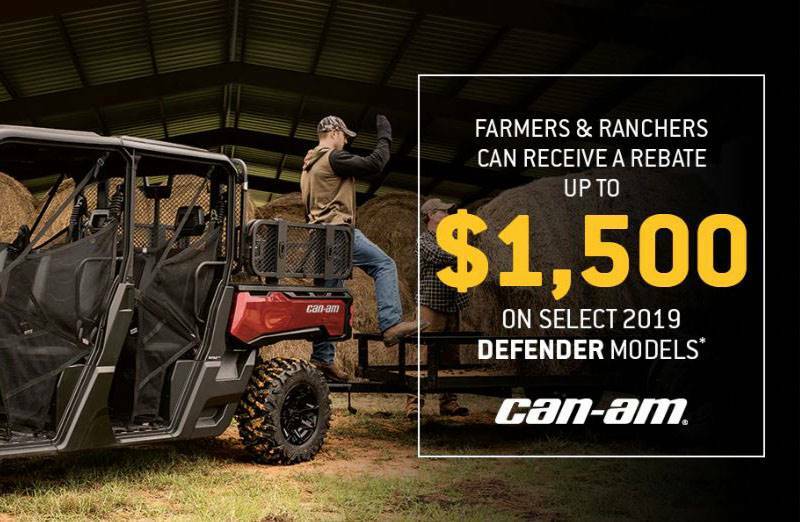 Turn mud holes into puddles with the 6-passenger mud-optimized Defender MAX X mr. Dressed to get dirty with stacked snorkeled intakes, the revolutionary Smart-Lok differential, relocated 4,500-lb (2,041 kg) winch, and aggressive ITP Cryptid tires. 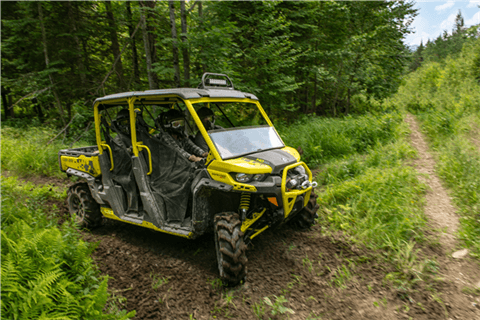 ROTAX HD10 V-TWIN: It works as hard as you do, and then some: the 72-hp Rotax HD10 V-Twin is specifically tuned for deep-down responsive torque, and to be your ride through muddy conditions. That's not all: the engine is used to its full potential thanks to its all-new on-the-fly 4WD system with Smart-Lok technology. SNORKELED CVT AND ENGINE INTAKES: With snorkeled CVT and engine intakes, the Defender MAX X mr gains the ability to perform in deeper water and more extreme conditions where dirt and dust are a concern. An increased intake height also gives better water fording capabilities, allowing this swamp-ready side-by-side vehicle and its determined riders to leave other side-by-sides in its wake. 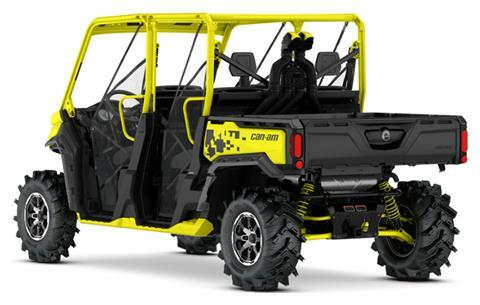 LOCKABLE FRONT DIFFERENTIAL: Mud has met its match with the Can-Am-exclusive Smart-Lok™ technology. 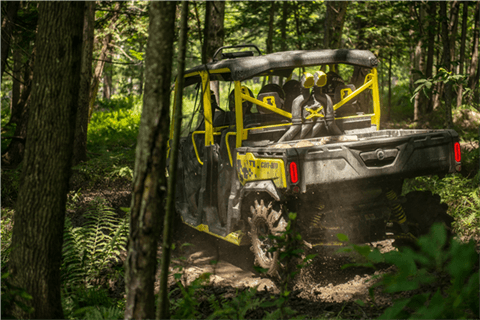 The Defender MAX X mr 4WD system uses the Smart-Lok fully lockable on-the-fly front differential with electronically-controlled automatic modes, or an intelligent "MUD" mode. The onboard computer takes sensor data and does the rest, instantaneously engaging locking with the right load at the right moment. It provides maximum traction while allowing for low-speed maneuverability. In the Defender MAX X mr, it allows you to power through any muddy terrain while maintaining momentum to lead you out of the thick of it. 30-IN (76.2 CM) ITP CRYPTID† TIRES ON 14-IN (35.6 CM) CAST-ALUMINUM WHEELS WITH MACHINED FINISH: Want a head start? These 30-in (35.6 cm) ITP Cryptid† tires on 14-in (76.2 cm) cast-aluminum wheels with machined finish will hook up all the way from the hole shot to the moment you turn it off, whether for a blast across a mud hole or on a long-distance ride. FRONT ARCHED A-ARM AND REAR ARCHED LOWER ARMS: Fitted with arched arms, aluminum rock sliders, and mudguards, we've given added protection for obstacles and unforseen circumstances that might derail a lesser side-by-side. At speed, its improved geometry returns excellent roadholding and control while maintaining 15-in (38.1 cm) of ground clearance. 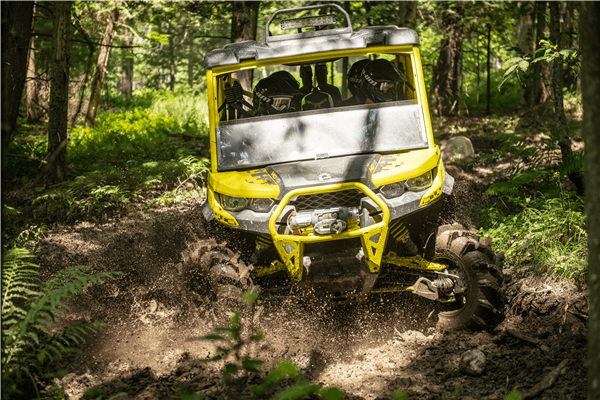 ANALOG & DIGITAL GAUGES: A long history off-road has taught Can-Am designers that drivers should have the best information at a glance—no matter the environment. Designed to work hard and be visible through harsh conditions, the multifunction gauge displays everything needed for work or play. 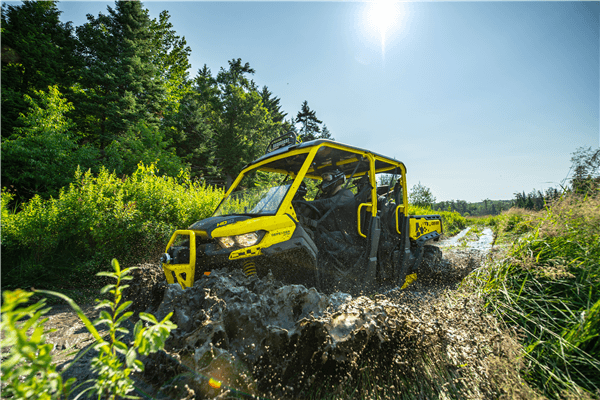 WORK / ECO / NORMAL DRIVING MODES: With the power of the Rotax® HD10 at your back and a Smart-Lok differential underfoot, there's different ways control the engine's response: Work, ECO, and Normal driving modes maximize response depending on the situation. Work mode gives full power and prioritizes low-down control and response, key for towing, hauling, and maneuvering with ease; ECO helps to save fuel and remain easy on terrain. RELOCATED 4,500 LB (2,041 KG) WINCH AND FRONT BUMPER: Given what we've seen our owners do with their Defenders, this added capability is most welcome when the job gets tough and the path gets muddy. This 4,500 lb (2,041 kg) winch with synthetic rope ensures obstacles, recovery missions, and oversized tasks are tackled with ease—your friends will thank you. 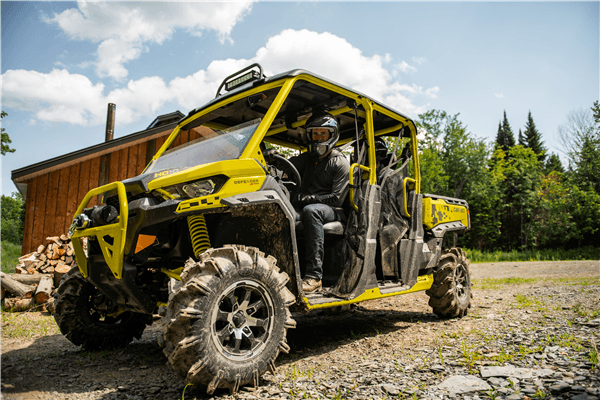 MUD READY PROTECTION: Right out of the box, there's protection where it counts for deep muddy conditions and challenging terrain, including mudguards, a tough front bumper, full underbody skid plate, and color-keyed aluminum rock sliders. USABLE STORAGE WHERE IT COUNTS: The Defender MAX X mr not only roars through mud but also has a total of up to 16.9 US gal (63.9 L)—including a handy, removable and water-resistant 1.7 gal (6.3 L) toolbox, an industry exclusive—to carry tools and supplies directly where they're needed. In addition, we included 6 gal (22.8 L) of under dash storage with an enclosed pocket, under seat storage, and enclosed storage above the gauges. VERSA-PRO BENCH SEATS WITH BOLSTERS: To keep up with what the X mr can dish out, our engineers quickly learned that bolstering the Defender's capability meant that passengers should be more secure than ever, with all-new X package bolstered VERSA-PRO bench seats. 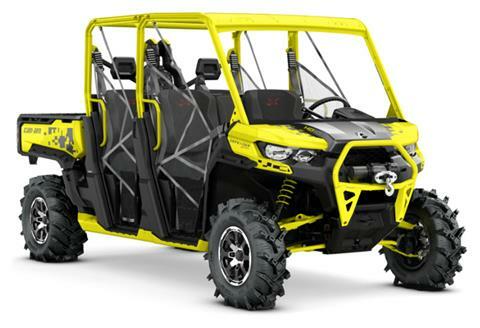 With added side padding and a redesigned profile, they'll help you control and enjoy this side-by-side vehicle to the fullest. 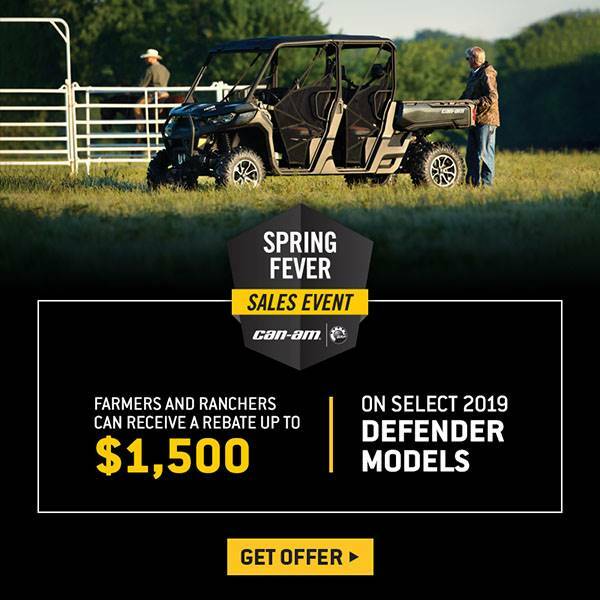 1-YEAR WARRANTY: For 1 year after you take delivery of the Defender X mr side-by-side, we defend its hard working abilities with a full factory warranty.